While government proposals for universal health care have raised hopes for access, health spending in India remains among the lowest in Southern Asia. The challenges are immense and multifaceted, but pragmatism and a willingness to learn from innovative approaches, could deliver greater access to medicines for the people of India. Despite the promise of a bold new approach in improving access to medicine for India’s teeming millions, Prime Minister Narendra Modi’s government after completing its first two years in office, is still struggling to find a way forward. Hampered by a dysfunctional and entirely inadequate public healthcare system and in the absence of a health insurance cover, the government appears tentative on ways and means to improve access to drugs. While this is true of even essential medicines, this is particularly true of new, innovative but expensive patented brands. In a country where nearly 300 million people live below the poverty line, many of them put there by out of pocket medical expenses, there are no easy answers. So far there have been mixed signals on potential solutions. Suggested measures include the controversial compulsory licensing mechanism to convert expensive patented drugs to cheaper generic versions, other pricing and regulatory issues specifically for innovative medicine and new technology available like bio-similars and greater involvement of the private sector in creating a health insurance net across the country. Known to be business-friendly, Prime Minister Modi, has since coming to power, sought to woo multi-national companies including big pharmaceuticals and encourage private industry having a larger role in the health sector. At the same time the government is under severe pressure from agitated public health activists who are bolstered by the high court judiciary who are also demanding cheaper drugs – a demand that has the backing of a majority in Parliament and state legislatures. The government has been dragging its feet on using the compulsory licensing path which under the Indian Patents Act allows domestic companies to produce significantly cheaper generic versions of drugs under multi-national pharmaceutical company patents. So far compulsory licensing has been issued only once in 2012 under Section 84 of the patent law (that mandates such a measure on grounds of lowering prices of essential life saving drugs in public interest). This was given to to NATCO for Sorafenib, an anti-cancer drug marketed by Bayer as Nexavar. Since then the Department of Industrial Policy and Promotion (DIPP) under the Commerce Ministry has doggedly resisted further pressure by public health activists and even the Health Ministry for awarding similar licenses. Significantly efforts by the Health Ministry to use even the more compelling Section 92 of the Patents Act, that calls for compulsory licensing in case of public emergency, to cope with the rising incidence of cancer has been pointedly turned down by the DIPP. The controversy over compulsory licensing recently flared up in March this year after newspaper reports suggested that India had privately assured the US government, through the US-India Business Council (USBIC), that it would not use compulsory licensing. This provoked a storm of protest from public health activists and more seriously a formal notice served on the government by the National Human Rights Commission (NHRM) demanding a clarification and expressing concern at its implications for providing affordable drugs. Significantly just as the controversy broke two local generic companies BDR Pharma and Lee Pharma announced they had given up a battle to copy drugs developed by Bristol Myers Squibb and AstraZeneca. They blamed a lack of government support for cheap generics and pressure from pharmaceutical MNCs. Indeed, generic companies are increasingly choosing to strike deals with big pharmaceutical companies for voluntary licensing of generic drugs for export. The government is clearly in a dilemma choosing between foreign investment and trade compulsions on one hand, and the need to promote cheaper generic drugs on the other. It is also in the middle of a contentious and continuing dispute over trademark rules with the European Union after the latter slapped a ban on the sale of around 700 pharma products by one of India’s largest generic companies, GVK Biosciences, Hyderabad last year after they failed to meet quality control standards. Newspapers reported earlier this year that India was planning to take the EU to WTO if further negotiations on the dispute failed. Yet, despite the government’s reluctance to jeopardize its foreign investment and trade interests, the pressure to produce cheaper versions of patented drugs is likely to grow from public health activists. This pressure is especially strong, after a stinging rebuke from Supreme Court judge, Justice T S Thakur last July who urged a re-examination the current drug policy for essential medicines, which he described as “unreasonable and irrational”. 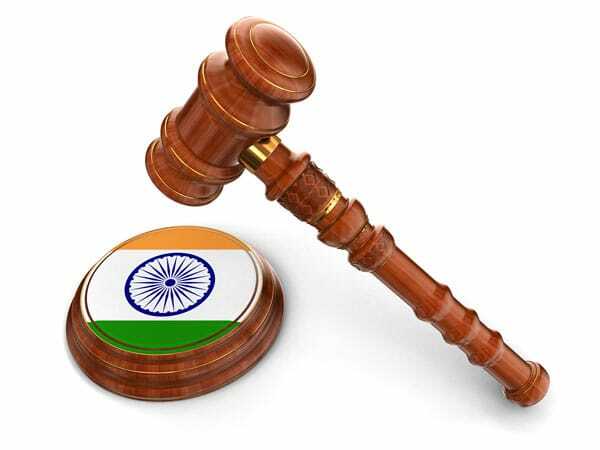 Now Chief Justice of the Supreme Court, Justice Thakur is even more powerful and it is likely pricing will remain a very sensitive issue, as will regulatory issues for new technology like bio-similars. Although last November the Health Ministry indicated a major revamp of approval guidelines for bio-similars to make the regulatory path more robust and in line with global norms, as yet, there are still no signs of any concrete steps. 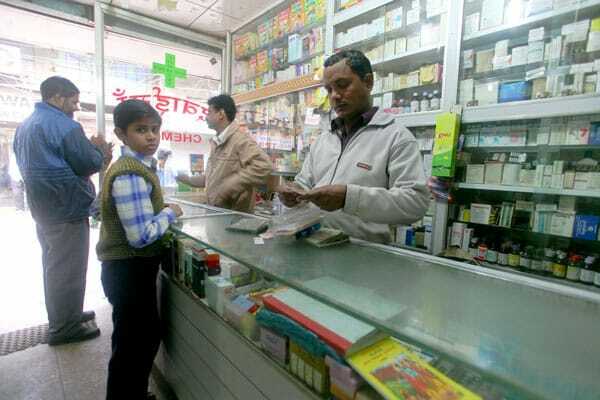 Last year the government sought to improve availability of affordable medicine by launching Pradhan Mantri Jan Aushadhi Yojana, a scheme under which 3000 generic drug stores will be opened. But independent health experts are concerned that the stores are too few in number, not spread evenly across the country and mostly present in public hospitals where medicine is already cheap or free to needy patients. With most patients still turning to private doctors for treatment, the experts point out that under Indian law private service providers still cannot prescribe generic medicines. Similar problems face another proposal by the government to enhance health insurance cover from 30,000 rupees for a family of five to 100,000 rupees, with an additional top up of 30,000 rupees for citizens of 60 years of age and above. But as health experts point out, greater levels of insurance cover are bound to increase insurance premiums, automatically putting them out of reach of those who needed it most. This alone could scupper the Prime Minister’s more ambitious plan – as yet to be unveiled – the Universal Health Assurance Scheme in which the private sector is expected to play a larger part. Most experts are agreed that the most effective method to improve access to medicines in India so far, is bulk procurement of generic drugs by state governments with cheap or free distribution through designated outlets. This model of bulk procurement and distribution is already working well in the states of Tamil Nadu, Kerala and Rajasthan has been widely applauded, but it is yet to be implemented in the rest of the country. Yet the most serious obstacle to better access for medicine in India remains the paucity of government funds for public health. A Parliamentary Committee in May this year castigated the Modi government for what it described as “abysmally low spending “on health, medical education and research”. The Parliamentary Committee revealed health spending was as low as 1.2 percent of the Gross National Product: less than half of funding originally envisaged by the Planning Commission in the 12th Five Year Plan (2012-13 to 2016-17). The committee also expressed concern over the move last year to give states more autonomy in health spending by increasing their share of the tax pool which appears to have backfired. It reported that this had caused not only caused bureaucratic delays in the allocation of funds, but in many states the funds meant for public health were diverted to other sectors. Television commentator, columnist and author, Ajoy Bose is best known for his political analysis for the English news channel, CNN News 18, but has also been working on public health issues in India for the past 15 years. Ajoy works with Hyderus as a media consultant.